T.J. Rooney | Rooney Novak Isenhour Group, LLC. 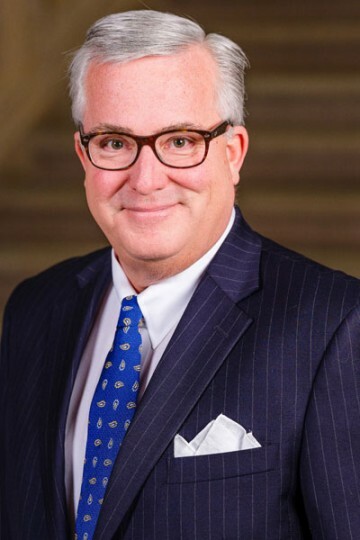 T.J. Rooney is the founder and President of Tri-State Strategies PA and co-founder and a senior partner of the Rooney Novak Isenhour Group. T.J. works with clients in a broad range of industries including, energy, healthcare, mental health, gaming and government outsourcing. Prior to his service in public office, T.J. held licenses in insurance and real estate. T.J. began his political career in 1992 when he was elected to the Pennsylvania House of Representatives in the 133rd District representing Northampton and Lehigh Counties. He served for seven consecutive terms (1993-2006). Founding member of the Gun Safety Caucus where he championed gun safety legislation in Pennsylvania. In 2003, Mr. Rooney assumed leadership of the Pennsylvania House Democratic Campaign Committee where he distinguished himself as a prolific fundraiser and astute strategist. Mr. Rooney's success as fundraiser and political strategist led him to key political positions statewide and nationally. Key advisor to former Governor and National DNC Chairman Ed Rendell and was selected by Governor Rendell to Chair of the Pennsylvania Democratic Party, where he served with distinction from 2003-2010. He led efforts that resulted in the reelection of John Street as Mayor of Philadelphia, Dan Onorato as Allegheny County Executive and the winning of five statewide judicial races. His statewide political success led him to key roles on the national scene. Senior advisor to the Pennsylvania presidential campaigns of Al Gore, John Kerry, Hillary Clinton and Barak Obama. T.J. and his partner Alan Novak were honored as the first recipients of the 2017 Allegheny College Prize for Civility in Public Life in Pennsylvania in recognition of their work in finding solutions for their clients by navigating divisions in government to build consensus and end stalemates. T.J. is a sought-after speaker and is frequently interviewed and quoted by the media. He is a favorite of statewide political news outlets as well as Philadelphia talk radio programs. He shares a column on Pennsylvania Politics with Alan Novak, his long-time friend and political rival, which appears in the Philadelphia Inquirer. T.J. and Alan regularly lecture aspiring political science students at institutions such as the University of Pennsylvania, Saint Joseph’s University and Dickinson College.